Color aluminum sheets and color coated aluminum sheets are the coated aluminum coils. 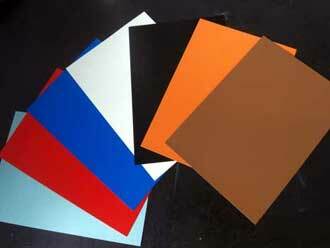 Color aluminum sheet can not only heat insulation, but also sound insulation. The performance is better than other sheet products, and the application has a wide range, such as bars, KTV, cinemas, etc. Heat insulation coated aluminum sheet is a kind of new decorative material, and also is a kind of composite material, with the development of technology. In recent years, with the changes in market demand, color aluminum sheet technology is also constantly changing. Heat insulation coated aluminum sheet can heat insulation and sound insulation, and can resist acid and alkali corrosion, crack resistance, as well as easy to install. The utility model is often used in the field of the top of a house and the decoration of the wall surface. The heat insulation coated aluminum sheet is used as the building material, which can effectively reduce the room temperature, improve the installation efficiency, and is durable and economical. At present, more and more heat insulation coated aluminum sheets are applied to the construction field. On the one hand, aluminum sheet can form different architectural styles, the selection of color in harmony with the environment and perfect unity, and then give people the enjoyment. On the other hand, the high-tech components of coated aluminum coil make the application convenient. Such as in the process of roller coating and continuous thermal composite process can ensure the full performance of the material. With the increasing demand of the market and the progress of the processing technology, the heat insulation color aluminum will replace more building materials and become the most important star products in the field of architectural decoration. ← Which is the Best Aluminum Circle for Lamp?